This children Bible app is actually a digital book that includes animation, interactivity, fully voiced characters / narration, Chinese / English language switch and mini games. Yuling Deng did not only illustrate and design the book in the different app formats, but also illustrated it in paperback (58 pages) format. Its paperback teacher’s guidebook (24 lessons), box set packaging, as well as all of its promotional materials were also Yuling’s works of art. This children’s Bible storybook in the New Testament was illustrated by Yuling Deng. It includes paperback book and iBook versions. Yuling was also responsible in planning its app’s interactivity, creating animations, designing the product’s promotional materials such as posters and postcards, as well as editing the voice recordings for its characters and narrations. Yuling Deng illustrated this Bible storybook of king david’s life in paperback book, iBook and manga. Yuling was also hired to design its app’s interactivity, characters’ voices and narrations, mini games, as well as all of its promotional materials such as posters, postcards, mugs, pins, banners and even flip flops. The book is in both English and Chinese. 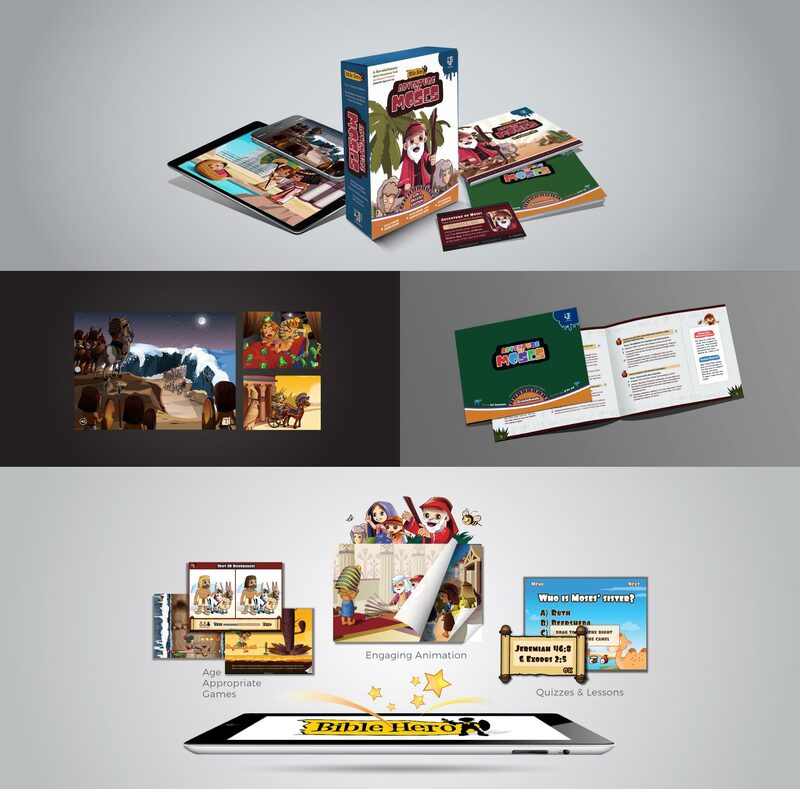 Yuling illustrated the paperback and iBook versions for this children’s Bible storybook of Joseph. Yuling was also hired to design its app’s interactivity and related posters.